Heading south? Whatever is calling you to the Bayou State, be it a new job or just a change in lifestyle, Simonik Moving & Storage can help make moving from New Jersey to Louisiana a stress-free endeavor. Choosing the right mover is always important, but even more so for a long-distance move. Since 1977, our BBB-accredited moving company has been helping to take the stress out of long-distance relocations. 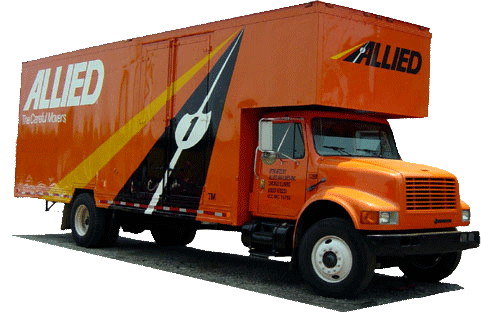 We take quality service seriously and, as an agent of Allied Van Lines, we have access to a network of storage professionals from coast to coast. If you want expert movers, it takes more than a couple of guys and a truck! Let Simonik Moving & Storage help you make your move! Storage is one part of moving that some forget until the last minute. If you have a need to store some of your belongings, Simonik Moving & Storage can safely store them in our secure facility. We offer both short-term and long-term storage, and we can make storage part of your moving package to help with budgeting. Your items will be carefully packed in containers that are specially designed for long-distance shipping. When you’re ready, the container will be shipped right to you. The process couldn’t be easier, and this is just one more way that we make it simpler for you to complete your New Jersey to Louisiana move! We have built a reputation as the premier household movers in North and Central New Jersey. Residents in counties including Hunterdon, Mercer, Middlesex, Monmouth, Morris, and Somerset call on us when they want experienced movers. Our commitment to excellence shows in the many awards we’ve won including “Mover of the Year” from the New Jersey Warehousemen & Movers Association. As a ProMover member of the American Moving and Storage Association, we’re always on top of the special requirements for completing long distance moves. Our experience makes it easy for you to complete your NJ to Louisiana move! Is a move in your future? Give Simonik Moving & Storage a call today to learn more about all of our moving services. You can also fill out our quick online contact form to receive your free, no-obligation estimate. Let us be your NJ to LA moving company!